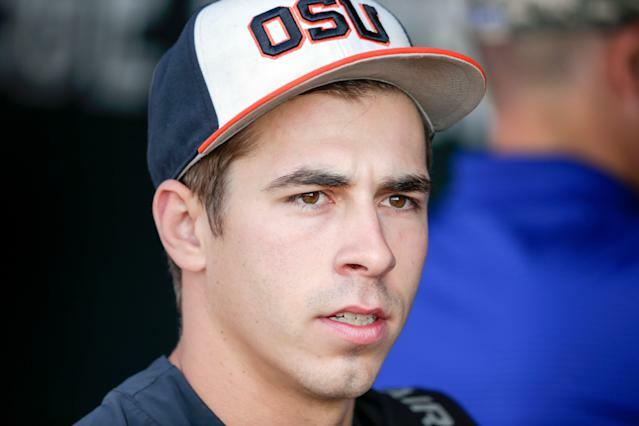 Will Luke Heimlich play in Mexican League? One day after former Oregon State pitcher Luke Heimlich reportedly agreed to sign with a team in the Liga Mexicana de Beisbol, his future in the league is already in question. ESPN's Jeff Passan was the first to report Heimlich had reached a deal with Tecolotes de los Dos Laredos, a Triple-A team based out of Nuevo Laredo, Tamaulipas, on Wednesday. However, league president Javier Salinas has since indicated that it's unlikely Heimlich will be allowed to play in the league. Heimlich, who pleaded guilty to molesting a family member at age 15, is attempting to resurrect his career and rebuild his image. The now 23-year-old left-hander was considered a possible first round draft pick based on his talent and performance during three seasons at Oregon State, but all 30 MLB teams passed on him during the 2018 Draft. Tecolotes de los Dos Laredos felt Heimlich was due another opportunity, but the team and league have drawn criticism from the victim’s family and from prominent activists. That has forced the league to reexamine Heimlich's future. José Antonio Mansur, the owner of the Tecolotes, is on record stating he would view a rejection of Heimlich’s contract as a "discriminatory" act. An official decision on Heimlich's status is expected in a few days.